There have been a handful of things keeping me super busy lately. 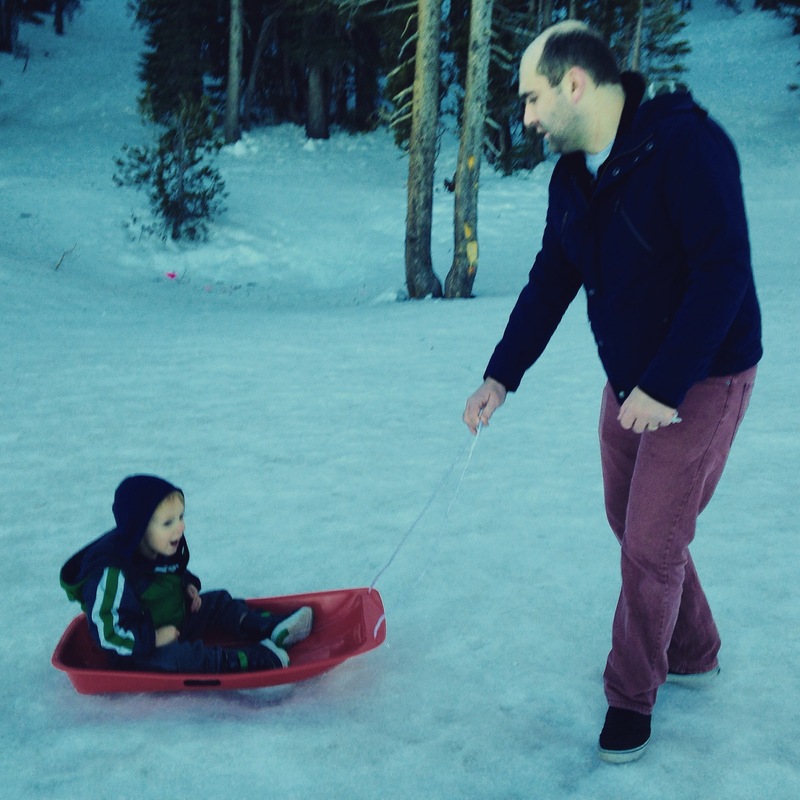 One of them is that last weekend, Drew and I took B to Tahoe for a winter extravaganza. We rented a house with the Jameses and Molly, and spent 3 nights there hanging out. 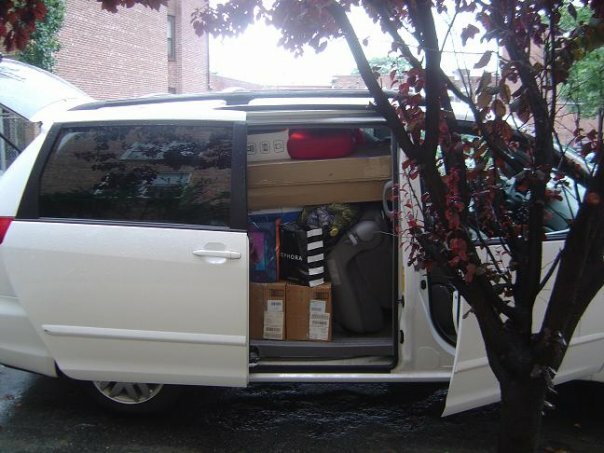 We got there first, and while we were unloading the car, an 18-year-old kid pulled up in an SUV and said, “Hey, you guys moving in?” “Yes,” we said. “Okay, good to know. I’m going to make a phone call.” Then he got back into his car, talked on the phone for a minute, and then drove away. 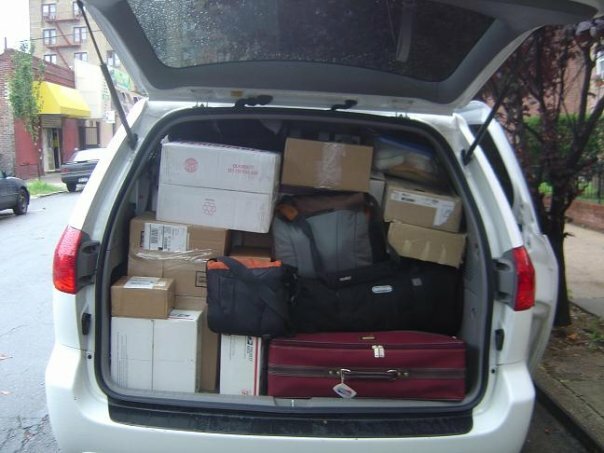 We were a little baffled – and concerned – but before I could call the rentals manager, she pulled up behind our car. 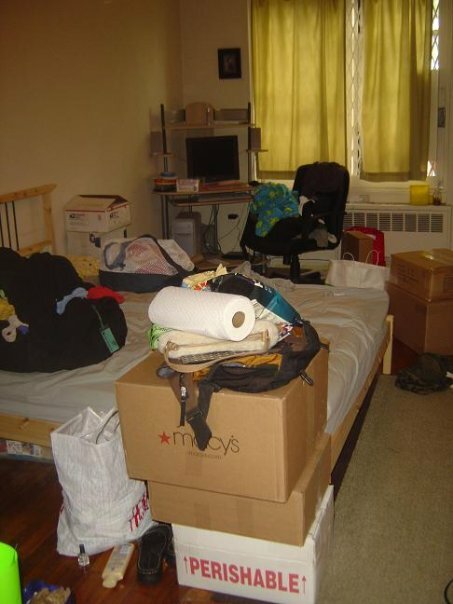 She was kind of freaking out, and said that the cleaners thought we were coming the next day so they hadn’t finished. So she ran inside and cleaned the bathroom sinks and the stovetop. So that was kind of weird. It’s not very snowy in Tahoe right now, but we did have an ice patch of our very own in a shady spot of the yard. Actually, it was probably good that the roads were basically clear so the drive was quick and safe, and the boys could run around outside in every free 15 minutes to keep them from going crazy. 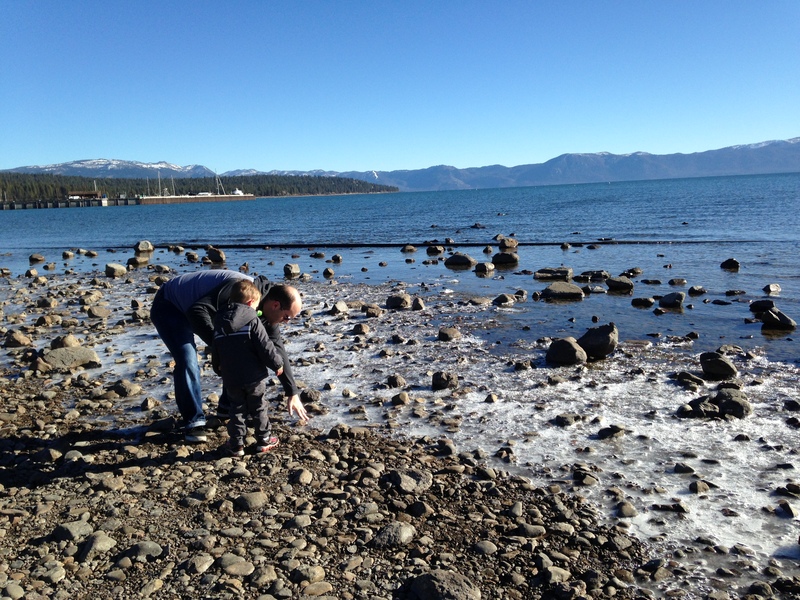 The first day we went into Tahoe City where there was a playground near the beach. 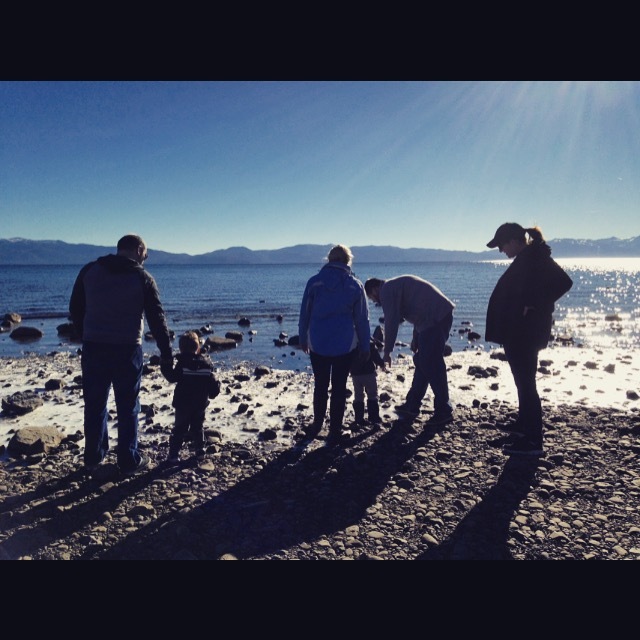 We went to the water’s edge, where there was about 6 feet of ice, and taught the boys to throw rocks (um…not our brightest moment) to break the ice. B brought a rock home with him, which I keep forgetting about, but I’m pretty sure is still in the diaper bag. 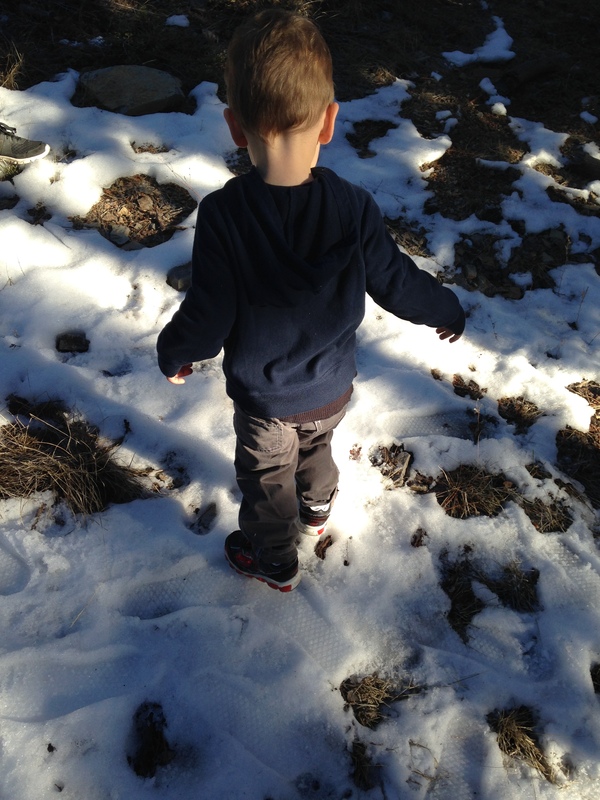 The second day, we went up to Mount Rose to find some snow – it was still pretty icy, but Drew could pull B around on the sled we brought him. We also saw one stupid teenage boy after another sled down a hill and very nearly go face-first into a tree. Literally. 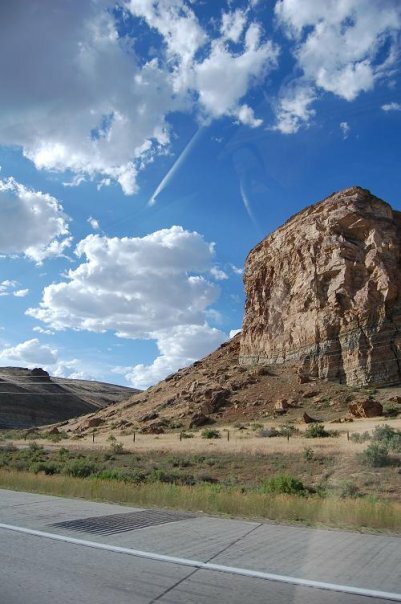 Also, a woman went down another hill on an inner tube, jumped a little hill, and was 2 seconds away from shooting out into the road – if her inner tube hadn’t suddenly popped. She was laughing. We were all worried that we were about to see someone – tree guys or inner tube girl – get really hurt. Luckily no one did. And we slipped and slid around on the ice until it started to get too dark. 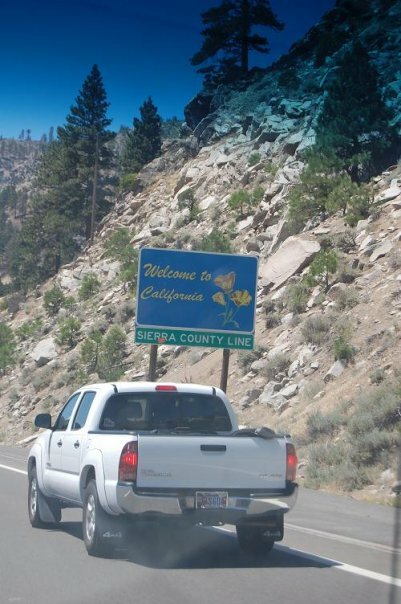 On our drive back to the house, we realized that Mount Rose is in Nevada – B’s first trip out of state! The only downside to the trip was a slight fever that the boys seemed to be passing back and forth. Neither was down for long, but we were dosing them both with Tylenol all weekend. On our third night, B was up literally every 45 minutes, actually crying. Not just whimpering. I’m pretty sure neither Drew nor I slept more than 2 hours altogether. It was one of the worst nights of my life, especially since we weren’t sure what the problem was. He wasn’t feverish all night – just upset. Finally at 5am, after many times of being up, of shhhhing him, of asking what was wrong, Drew brought him into our bed and we both sat there going, “What’s wrong? What do you need?” He finally croaked out “Wawar!” Water?? I felt like such an idiot. Was he just dehydrated all night? Could we have solved this 8 hours ago? I think we were all suffering from the altitude a little bit. My skin and my lips were so chapped – and I think we were all dehydrated. Luckily a couple days back at sea level and we’re all back to normal. I’m giving up. Or taking a stand. Whatever you call it, I’m not going to put up with it any longer. Tomatoes from the store (or restaurant, or wherever) don’t taste like anything anymore. I love tomatoes, but that’s not what I’m eating on my salads or sandwiches anymore. I don’t know WHAT I’m eating. They are red and round and they vary in size, but there’s no taste. Its purpose is texture only. And let’s face it, tomatoes can have a pretty gnarly texture. So, this weekend, after shelling out for a clamshell pack of organic grape tomatoes at our local grocery store, only to throw them away because they tasted like soft sour nothing instead of just plain nothing…I’m not going to do it anymore. I guess tomatoes just really suffer from being out of season, or not locally grown. So from now on, we’ll buy tomatoes during the months from July to October, and we’ll buy them only from farmer’s markets, or we’ll mooch them off our parents. I don’t want to forget what tomatoes taste like. This is the dystopian future I live in. Take that, Hunger Games / Divergent / The Maze Runner. This is one of my favorite poems, for three reasons. 1. I love the rhyme and the meter of the poem. I love reciting it. There’s something so musical about the ABAAB and the iambic tetrameter. I loved studying poetry in school, and sometimes I really miss it. In the early 1910s, Robert Frost became friends with another writer, Edward Thomas. They would go for walks through the woods, and Thomas was constantly moaning about the fact that they had taken the “wrong” path – and missed something amazing on another path. Frost wrote this poem in 1915, a sarcastic answer to Thomas’ worry that he was always making the wrong decision. The closing stanza is a sigh from someone looking back on opportunities lost. Frost is gently mocking the narrator (and Thomas) for fretting over missed opportunities, and for not seizing the opportunities that one is presented with. I freaking love this poem and the story behind it. Today was my last full time day at my theatre job. On Monday I start a new job as an Executive Assistant, in an office full of brand new people. This was my choice, my decision, and it was a hard decision, but I still think it was the right decision. Every new path brings change, something new to learn, and new opportunities for joy. Two roads diverged in a wood. And I. 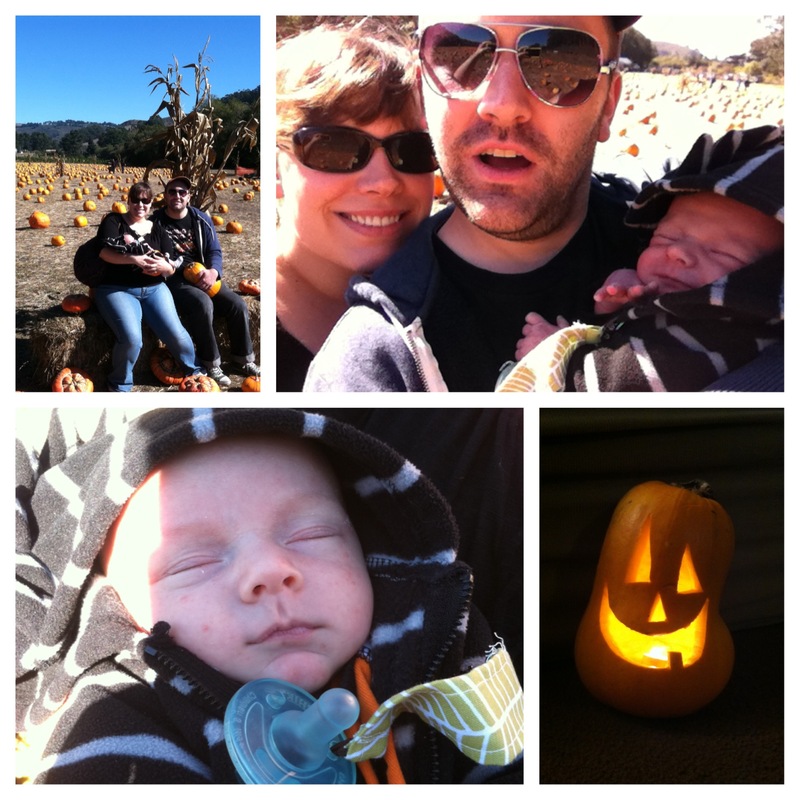 Last weekend Drew and B and I went to Half Moon Bay for breakfast and pumpkin patch-ing, with Erin and Scotty’s family. We met up at Blue Sky Farms, which is a nursery/cafe run by the family of a friend. Then we headed south to one of the many pumpkin patches found on either side of the highway. Drew and I forgot to take the Ergo carrier for B, and we didn’t want to try to push a stroller around a pumpkin field, so we ended up carrying him the whole time. Which is fine, since he’s still relatively light, and since he’s so cute other people want to hold him too, so you can usually pass him off to someone for a short period of time. (Just kidding. Sort of.) B slept through the entire thing. Scotty is over a year and a half old, and he’s very smiley and talkative, and likes to run around and is learning colors. I’m looking forward to when B is older and can have more fun when we take him places. In the meantime though, he sure takes some cute (sleeping) pictures. On Halloween, I took B to work for my office Halloween party, where he behaved very well and got passed around some more. After the party, my friend Katie and I took her two kids and my one kid over to her husband’s office, which is much larger and not a nonprofit, so they were hosting this huge trick-or-treating and Halloween party for all the employees’ families. So B got to show off his costume (he was dressed as a little cow), show off his manners, and go trick or treating for his first Halloween. So although some of it was kind of last minute, we did get it together and do all the traditional Halloween activities. 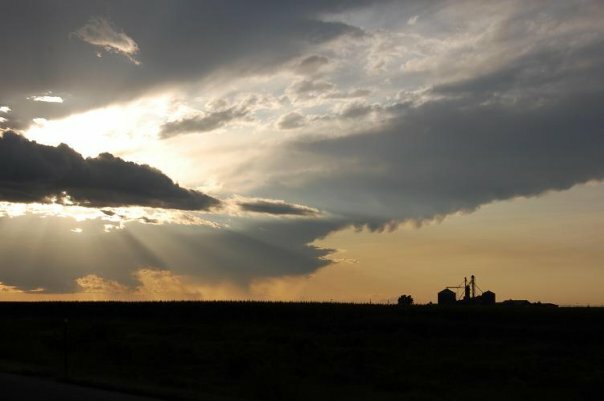 (Next year, though, I’d love to go to a corn maze.) (I say that every year.) And now we are really onto the downhill slope into the holidays! Why do you take such offense against these little yellow Baby on Board stickers that hang in car windows? Here’s a little story: once in high school, I was driving from Lakeport over to Fort Bragg. Between Willits and Fort Bragg is a 30-mile stretch of winding road through the trees – it’s gorgeous, but it’s one lane, with a single passing lane available about 10 miles in from the coast. There are plenty of places to pull over and let someone pass you, though. I was stuck behind a car rattling along with a Baby on Board sticker. This car would not pull over, no matter that it had been nearly 20 miles, which was unbearable to me, a teenager in a 2-door car with a stick shift. Finally we approached the passing lane, which incidentally was on an uphill stretch, and as I moved over to pass…the jalopy sped up! I barely made it past them, and then I continued on my way…at which point that car tailgated me for the remaining 10 miles of the trip. I reached the coast and pulled into the parking lot of a grocery store…where the jalopy pulled up behind me, parking me in, and an irate woman got out and began yelling at me about “almost running her off the road” and how she had “a baby in the backseat.” All I could do was stand there in shock (I have never been good at confrontation) – but what I wanted to snap back was that she had plenty of chances to let me pass, she didn’t have to speed up while I was passing her, and she certainly didn’t have to speed up in order to follow me the rest of the way. So. She was crazy, and should not have behaved that way. Because of her I am now totally paranoid about being followed and trapped in a parking lot, and I always have a contingency plan if I think someone is tailing me. But, here’s what I started out to say. I realized something, many years later. 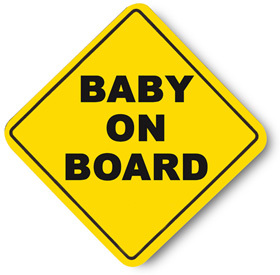 The Baby on Board sticker is not there to tell you what to do: it’s just to alert you, the other driver, that the car with the baby is likely to drive slower, more cautiously, and to view yellow lights as “stop now” signals rather than “go very fast.” So if you need to adjust for that, then feel free. I’ll be here, in the right hand lane, signaling carefully and going the speed limit. Hope this helps, whiny people on the internet!